I was one of the 10 people who won tickets from Founder Gym, and it was an amazing experience! The core “Give, Don’t Take” value permeated every session and every interaction between attendees. To the extent that the environment we put ourselves in and the people we surround ourselves with can either bring us up or drag us down — this experience was entirely elevating and inspiring. Girija and I (Gobi) really enjoyed the conference. 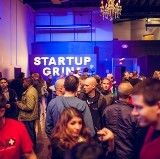 We gleaned so much from the excellent entrepreneurs and VCs lined up to speak. The VC line up was phenomenal and their advice is amazing since they see so many companies everyday. Why not to attend Startup Grind Global Conference 2019? The Robotech Team, along with NeoRobos, is looking forward to meeting entrepreneurs, investors, and other members of the startup ecosystem during this event. I am John peter Effiong from Akwa Ibom State, I run Top Star College International schools. I have not succeeded in any of the program I apply for but the more I apply ,the More I got Rejected , but nothing is more inspiring than creating my own business and becoming entrepreneur with freedom to fulfilled my dreams managing risk with creativity in order to innovates. I Hope one day I become A millionaire.